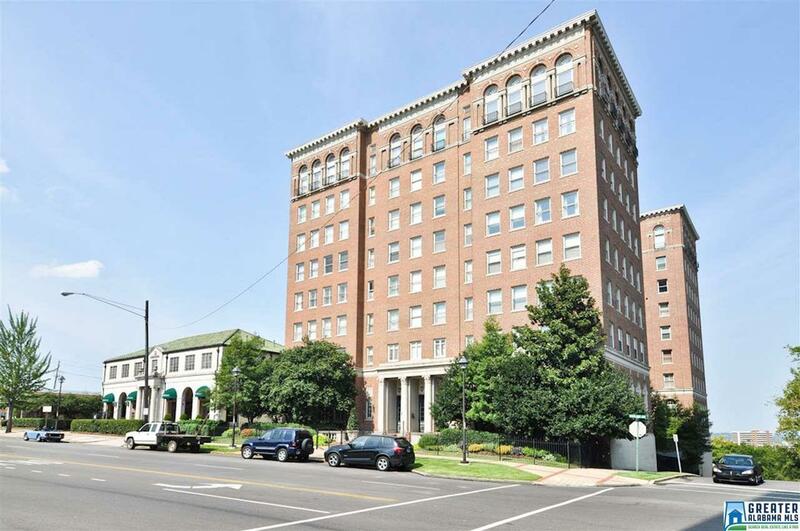 Updated condo on the third floor of historic Highland Plaza Building. Massive windows throughout offer great light and wonderful views of the city, mountains, and Highland Avenue. Located next to Bottega so you can just walk over for lunch or dinner, and when your guest visit they can use the Bottega Valet parking if they want. One block to the grocery store and numerous other restaurants. True intown, upscale city living. Unit features new kitchen and baths, marble, tile, and hardwood floors. There is a porter on duty daily, fitness center, indoor pool and sauna, and a wonderful rooftop deck. Highland Plaza has a secured, fenced courtyard area to accommodate those late night doggy restroom needs. Secure mailroom for packages and trash shoot on each floor, so you do not have to walk to a remote dumpster. This unit has a one car garage in the gated area that is large enough to also have storage space in the garage for bikes or holiday decorations, etc. Start living the good life!